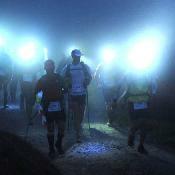 Trail running is seeing a huge growth of people getting into this amazing sport. We have been offering Alpine trail running camps for several years in the summer months, and due to client demand we started to offer these UK courses based in the Lake District too. These weeks are based in the English Lake District in Cumbria, as there are hundreds of kilometers of trails to choose from, and a huge variety of terrain to run on. We offer a great balance of running, coaching, and trail running advice, preparation and top tips. These training camps are open to anyone, but we suggest that you will get the most out of them if you are happy running up to 10km, or even a half marathon. If you are in any doubt as to if they will suit, then get in touch to get advice from one of the coaches. As well as enjoying a great week of trail running of c. 15 - 20km a day, we aim to teach you the key safety skills for route planning and mountain running, with a focus put on the selection of equipment and how to develop your training plans for trail running. Don't worry if you have never run on mountain trails before, as you will pick up the skills quickly with expert coaching and guidance. All you need is to be fit for regular running, to have a sense of humour, and to love the outdoors. We will teach you all the skills you need. When you book on this trip you'll be set a detailed equipment list. 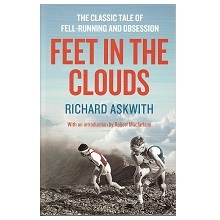 Have a good read through it, as despite the relatively low altitude of the Lake District fells, the weather and conditions can sometimes be challenging. The best investment you'll make will be a decent pair of fell running shoes (e.g. Inov8 Mudclaw / Salomon Fellraiser), for good grip and to keep you low to the ground to reduce the risks of turning an ankle. 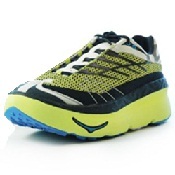 The fells generally provide good cushioning for your feet, so the priority is traction and stability. Always take a waterproof running jacket, as even on the good days, it can be useful against any wind, and as a warm layer. Taking any running poles is completely optional, but if you do take some, the instructor will teach you how to use them efficiently. 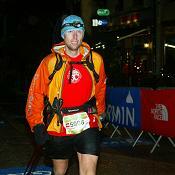 We've produced a whole page specifically about mountain running kit, so to view it click here. The Lake District is blessed with hundreds of kilometers of trails over all types of terrain, from forest tracks to high peaks and mountain passes, and so the itinerary can be flexed on any day to take account of weather conditions, to ensure that you sample the best on offer. The itinerary below is to provide you with a taster of what you could achieve, and isn't fixed in stone. After each day in the itinerary is an outline of the key teaching focus points for every day, so you get a real idea of what you can learn about. As far as the distances run each day, we advertise c. 15 - 20km each day, though try andd select routes to cater for people to opt out of sections if they would like an easier day. We aren't expecting you to be mountain running machines, just a great spirit of loving the mountains, and wanting to give it a go. Speed is nothing. Enjoyment is everything! Many clients come back year after year to repeat this trail running camp, but they need never repeat a trail they have run before. Travel to Windermere to arrive for the 17:00 check-in and course safety and itinerary briefings. There is time for kit checks or rental of equipment (see inclusions below for what you are provided as part of the course price). Briefings are over by 18:00 and the Lake District hosts accompany the group to pre-dinner drinks. 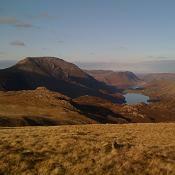 Some clients opt to travel out a day or two early to get their hill legs back and to explore the area. Night in Windermere. A classic warm up trail run in the Lake District, such as the horseshoe of the Coniston fells over Wetherlam, Swirl How and the Old Man of Coniston. 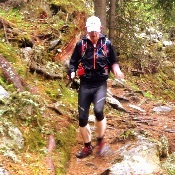 The key focus of the day is to develop different running techniques for varied terrain types. Night in Windermere. 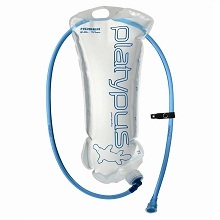 Equipment and clothing choice and its selection - footwear, poles, bags, compression kit. 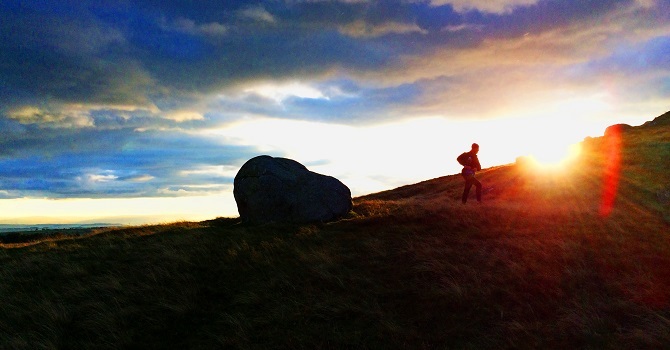 Highlight - run the amazing trail along the shoulder of Coniston Old Man to the summit. 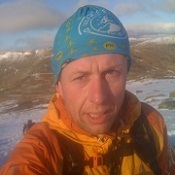 Today the focus is on key mountain skills for trail running, and so the day is spent mountain walking / running , with a focus on navigation techniques and acclimatisation issues. Typically this is a fairly long hill day in the Eastern Fells above Kirkstone. Night in Windermere. 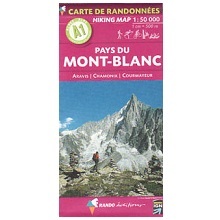 Mountain navigation for running routes, using GPS, maps & compass - NNAS syllabus. 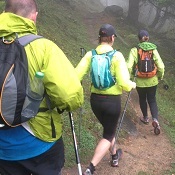 Highlight - gaining autonomy skills hiking and running in unspoiled stunning scenery. We aim for a slightly longer run today, to build on the skills learned so far. An example might be to run over the Lion and Lamb above Grasmere, as these gain access to amazing trail running terrain on the fells behind, and you can run a good circuit. Night in Windermere. Focus on injury avoidance, and common first aid scenarios planning, stretching, triage. Highlight - run up to, and even scramble to the top of, the Lion rock far above Grasmere. Often a day running on sections of the Lakeland 100 mile trail race route. This day will provide you really different views of the central fells. You will be fully involved in the day's route planning and you can work on your pacing and race timing skills today. Night in Windermere. Focus on pacing, timings, effects of gradient, and terrain factors - personal plans. 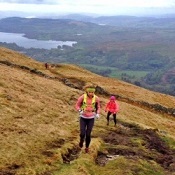 Highlight - experience running on a section of the Lakeland 100 trail race route! A longer trail run, up to a half marathon in length, to really put all the elements together that you have learnt over the week. Typically the route taken would run over several higher fell tops, and could include Helvellyn, Blencathra, or the Langdale Pikes. Night in Windermere. The icing on the cake after all the efforts for the week - run a half mountain marathon. Highlight - completing a half marathon across the mountains on rough mountain trails. After you check out of your accommodation, there is an optional debrief in the office. If you are travelling by train, there is one departure an hour from Windermere. Depart for home. Inclusions: 1) UIMLA guide for five days, 2) Lake District course hosts for logistics & briefings, 3) Pre course information booklet, 4) Equipment discount voucher for UK shops, 5) Road transport in Lake District to running venues each day, 7) Logistics support and provision of group safety equipment. Exclusions: 1) Travel to & from Windermere for the course, 2) Accommodation in Windermere area, though we can assist with finding / booking accommodation to suit all budgets (from £30pppn in twin room B&B), 3) Bar / food bills & tips, laundry, telephone calls, 4) Road transport outside the National Park (not usually required). Notes: The course is guaranteed to operate with just three or more people, up to a maximum of six people per leader. There is a discount of £100 per person for two people booking together (i.e. £399 each, so £798 in total). The meeting point for these courses is at our office in Windermere in the Lake District National Park. There is easy access by car, and the train station is just 150m from the office door. From here there are a huge variety of trails to run on and mountain terrain to opt for, so we can cater for all weather and conditions. We genuinely believe that the Lake District is second to none with the quality and quantity of amazing fell and trail running opportunities. The UK hills are famed for often providing four seasons in one day, and that is what makes the fell running such a unique and rewarding challenge. Don't forget that it helps to have a great selection of pubs in the Lake Dictrict to enjoy a beer and natter in after the run! This book was written by award-winning author Kingsley Jones, who is also one of our lead UIMLA running guide team.